ASUS joined the National Veterans Awareness Organization (NVAO) on their cross country ride, to recognize our Veterans this Memorial Day. ASUS’s own Zig Resiak, Eglin AFB Utility Manager and Navy Veteran, joined the ride in Michigan City, Indiana, for the third year. Titled NVAR, the ten-day ride across America, begins in Sacramento, CA and ends in Washington, DC. 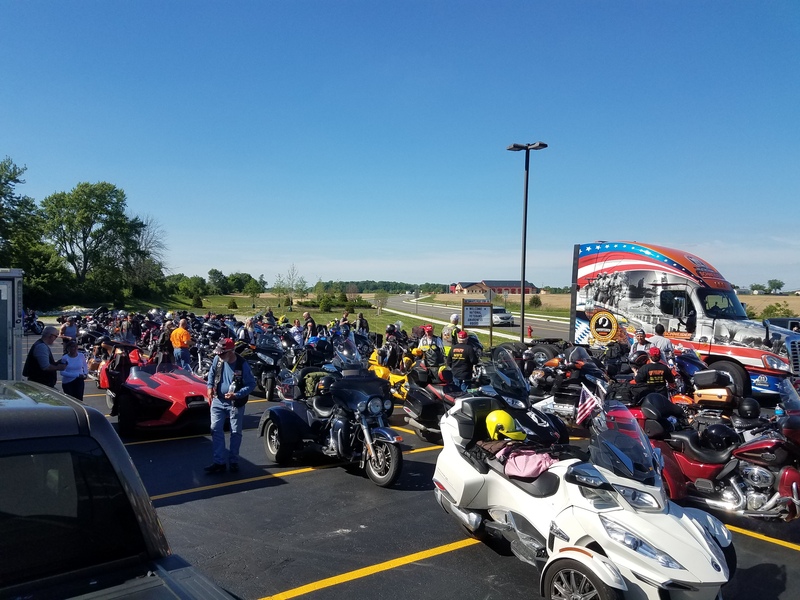 Throughout this cross country ride, the participants visit veterans’ hospitals and homes, spending time with veterans and displaying gratitude for their service. Along with visiting veterans, the National Veterans Awareness Organization (NVAO) also visits schools to speak on the importance of pride, patriotism, and the significance of veterans in our society. After ten days across the country, the ride ends with the NVAO visiting the Vietnam Memorial, Arlington Cemetery, where they paid tribute to one of the NVAO’s sons, and a wreath laying ceremony at the Tomb of the Unknown Soldier. The NVAO is dedicated to honoring all veterans and withhold the value that “Freedom is Not Free”, by educating others to provide public awareness of veterans, and veteran related issues. The NVAO represents its values of honoring the memory of our veterans killed in action, assisting veterans in healing from war, educating all generations about the role of veterans in American society, planning and support programs which show honor and respect to our veterans, and to emphasize the importance that at no time is anyone left behind. Each year, the organization plans and implements veteran related programs and events. Some of these events include: National Veterans Awareness Ride to Washington D.C. (Northern Route), Financial aid for ROTC programs in schools, Initiate and support Student and veterans essay reward programs to encourage students’ education regarding veterans, and Provide financial assistance to veterans in need. The National Veterans Awareness Organization does amazing work each year and ASUS was proud to be a part of this event and support our mission of Serving Those Who Serve.